Genuine Mazda water neck o-ring. The part installs between the cylinder head and the water neck on the front of the motor on 1990-2005 Miata. This part is a lot of labor to replace. If you are doing a timing belt and water pump, replace it while you're in there to prevent a major headache down the road. Gates water pumps are recognized in the industry for their durability and superior quality. Every Gates water pump is constructed with premium alloy materials, high quality bearings and pressure tested against leakage. Gates timing belts are manufactured using the same high grade materials and processes as Mazda to ensure superior heat and contamination resistance that meets or exceeds OE performance specifications. 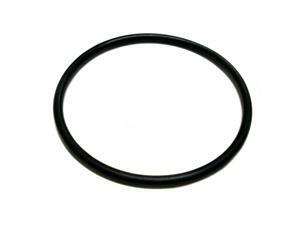 Genuine Mazda Front CAM seals for your 1990-2005 Miata. We recommend replacing these at every timing belt change. Sold as a pair for both camshafts. Genuine Mazda Front Crank seal for your 1990-2005 Miata. We recommend replacing these at every timing belt change. Genuine Mazda valve cover gasket for 1990-2015 Miata. The after-market ones just don't hold up like the Mazda ones. We highly recommend using this higher quality gasket. Set include all the custom formed Genuine Mazda small auxiliary coolant hoses for 1990-2005 Miata. These hoses are often overlooked and can strand you on the side of the road if they decide to spring a leak. These hoses for the 1990-2005 Miata are often overlooked and can strand you on the side of the road if they decide to spring a leak. Check your hoses and replace as needed. This is a Genuine Mazda part and custom formed to fit every time. Premium thermostat w/jiggle pin incorporates an all stainless steel construction, larger heat motor and larger spring to provide superior performance. Don't be stranded with an overheated motor. Check those heater core hoses and replace them before they burst. These Genuine Mazda hoses are guaranteed to fit and not kink or bind.